We’ll help elevate your health to optimum levels! Chiropractic care can help a range of conditions that all ages experience. Our customized plans will improve your wellness and help prevent future problems from occurring. At Elevation Chiropractic, we offer you a non-surgical, non-drug solution for reaching optimum levels of health and wellness. 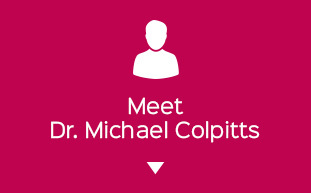 Dr. Michael Colpitts (Chiropractor, Truckee) is passionate about natural care and has helped many people find relief from pain and live actively through chiropractic. We’re ready to thoroughly evaluate your condition and create a plan to help you! When you visit our office, you’ll receive a care plan that’s individualized to your particular condition and goals. Whether you’re bothered by pain, chronic illness, or simply want to enjoy an incredible sense of well-being, we’re here for you. Our holistic, full-body approach involves the use of Sacro Occipital Technique (SOT®), which Dr. Mike is certified in performing. He’s also taken hundreds of hours of courses in pediatric and pregnancy care, allowing him to provide health care for your entire family. We treat everyone who walks through our door like a member of our family. We’ll work to understand what’s going on in your body and discuss our findings with you. We’ve found that when you’re educated about your condition, you’re able to help yourself get better, quicker. We don’t just have the expertise needed to determine the source of your problem, but are able to create a plan to help you get better and maintain an active life going forward. Get an appointment scheduled today! 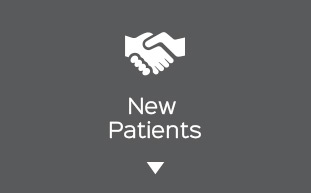 Contact our practice, or book conveniently online. We’ll help you improve your quality of life. Thank you very much for squeezing me in right away. 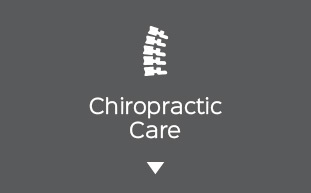 I have to say I’ve been to chiropractors for over 22 years, and by far your work was the best. Thank you again! Very excited to be seen again! My first appointment was wonderful and I learned so much about my body mechanics. Dr. Colpitts is so knowledgeable and was able to tell me exactly why certain parts of my body hurt and what will hopefully fix it. Great job. Solved a 10 year old problem!!!! In no time…Dr Mike identified my problem, gave me a comprehensive explanation of “what & where” I have issues and then proceeded to work on each area of concern. I’m feeling better already! I’ve seen quite a few chiropractors over the last 30 years. This was by far the most informative and logical visit ever. Thanks for taking the time to explain in ways I could understand. Great Doctor! Glad to have received the referral! After one visit, my pain went from an 8 to a 3. I walked in with a limp, and out without and was greeted the very first visit by name. My treatment felt personalized, although my problem was common. I felt confidence and trust in Dr. Michael right from the beginning. Wish I called sooner. Thank you! Great reception and information for a first visit. Very much like the depth of conversation and explanation of why, and how we can move forward. Wonderful new approach, great understanding of issues, most comfortable treatment! I am truly amazed with just the first two visits. I have been seeing another Chiropractor for over a year and have not gotten any relief. Two visits later with Dr. Mike and I finally have some results! Over the last 10 years, I have seen several physical therapists, chiropractors, and orthopedics to try to figure out the root cause of the pain I experience in my knees and back. Within the first half hour of meeting with Dr. Colpitts, he addressed the issues, the cause, and the solution. I am incredibly grateful and feel confident I will be pain free very soon. Been to many different practitioners for help with chronic low back pain. Acupuncture, Sports Med, other Chiropractic, Massage, Yoga, Physical Therapy, etc… Michael has a different approach, and I am hopeful that I will see good benefits. It’s early, but I like it. Great first visit, I highly recommend Michael. I very much appreciate that the approach used by Dr. Colpitts is so well structured and geared to communication. First, he listens intently, then he diagnoses after which he explains the cause and shares his recommended treatment. Once we were in synch, he treated me all the while explaining the process. The entire experience was very professional and I learned a lot. Since I was not in any pain I did not expect to feel “better.” I was surprised that I felt so much better! My first visit was educational, informative, and helpfully “manipulative.” I feel I was actively listened to and the explanations offered for my condition made good sense. The treatment I received was amazing – I am already seeing some results. Mike tuned right into my needs and I received a great adjustment. As a chiropractic student, I am always eager to learn more about different chiropractic techniques. I was visiting Tahoe from out of town and in addition to having some concerns about an ear problem I wanted to another practice. I saw Elevation Chiropractic while getting coffee across the street and decided to visit before going home and I am so glad I went in! Dr. Colpitts introduced me to the sacro-occipital technique and I was absolutely blown away. He made me feel very comfortable and it was more of a learning experience than any chiropractic visit I’ve ever had. As a student I was so thankful to learn from him and will be following up with his recommendation for an SOT doctor back home! Thank you so much, Elevation Chiropractic!